In Haiti, a new mosque with a minaret has opened its doors to the growing Muslim community in the Caribbean country. Boukman Buhara was built by Turkey's Diyanet Foundation. Turkey started giving aid to the rapidly-rising Muslim community in Haiti when a devastating earthquake leveled the country in 2010, and continues to show its support to this day. The location of the mosque is not far from the Dominican/Haitian border. Already the new mosque is raising eyebrows on the Dominican side of the island for fear of terror threats eventually becoming commonplace. With all the attacks going on around the world, some Dominicans fear that terrorist-style attacks may reach the Caribbean nation. 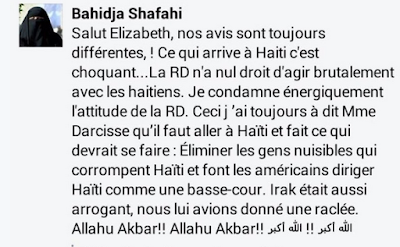 Given the nature of what has been going on in the Dominican Republic for some time now, nationalist watchers already have their eye on the situation, especially considering Facebook posts by French-speaking Muslims offering their opinion, with some saying that Dominicans need to get their asses kicked for mistreating Haitians, that we should be invaded, and things of that nature. 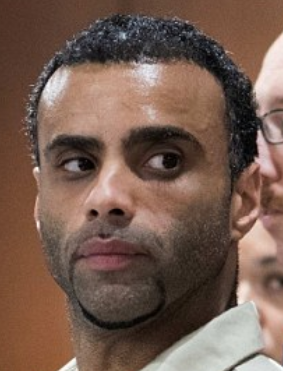 This animosity has been fed by the recent case of a 35-year-old Dominican man, Oscar Morel, who stands accused of shooting an imam and his assistant in New York City. News of the recent killing has angered Muslims in New York and everybody wants answers. Mr. Morel insists that he did not kill anyone and is innocent of these charges. Authorities claim they found a 38. revolver hidden in a wall of his apartment, along with clothing matching the description of the shooter. However, an eyewitness failed to finger him in a lineup, instead pointing out another man, which has increased speculation of Mr. Morel's innocence, that he was framed. Despite the confusions in the case, the media will gladly pit Muslims and Dominicans against each other using radical religious headlines and unfounded accusations. By way of this tragic murder case, and with the construction of a mega-mosque in Haiti, anybody can see a volatile situation brewing: all it takes is a couple of irresponsible headlines to irreversibly fan the flames of religious strife. 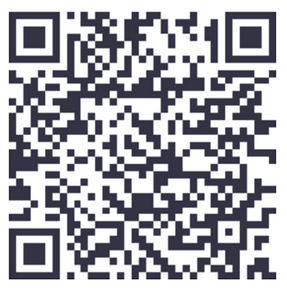 I'm not trying to get my readers to wear a tinfoil hat, but considering some of the lies I've witnessed during the incessant anti-Dominican smear campaign which began in 2013 with a decision by the country's top Constitutional Tribunal clarifying the country's status as a jus sanguinis nation like most of the world, as opposed to jus soli like the United States, it leads me to not trust much in the mainstream media these days. And I can see the tragedy in New York City being spun into nothing but trouble by corporate media pundits hellbent on presenting themselves as the experts on "inter-minority tension." So, I'm writing this in advance to let any agitators know that we are very aware of how the death of the imam and his assistant could be used against us. I still haven't forgotten Haitians marching in the D.R just last year calling for our blood to be spilled, while the media drowned out those chants to present them as peaceful protesters. Still clinging to claims that the whole island belongs to them, increasingly-heated rhetoric has kept Dominicans on alert regarding plans by Haiti's future governing elite. Surely, not all Haitians feel that way, but there have thus far been no cases of Dominicans residing in Haiti saying that the country belongs to them. There must be respect between the two peoples on both sides. There must also be vigilance on the part of the Dominicans as well, since there is rampant deforestation, corruption, and anarchy near the border, with some reports claiming more than 2 million infiltrators have passively and clandestinely invaded the small country. Instead of raising alarm about hospitals lacking medicine and people suffering without surgical beds, media outlets around the world would rather persecute Dominicans with hit pieces about middle class Haitians in the country being unable to acquire passports, when more than a million Dominican people are too hungry to think about even traveling beyond their town's periphery. Thinks Islamic law can save Haiti from "brutality." 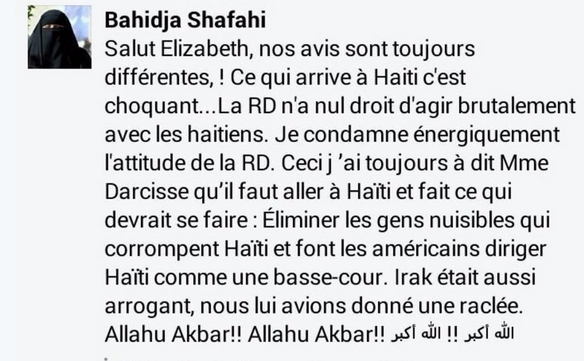 And now we must sit and wait for the media to try to spin and spin this latest Islamophobic attack as evidence of a Dominican conspiracy that requires intervention in Haiti by the world's Muslims, as some are already suggesting on social media. As Abreu Report wrote on the first of July, weeks before the suspicious accusations were made against Mr. Morel, Washington and certain elements within the Dominican government are colluding to fuel the rise of radical Islam in Haiti. In April of this year, Abreu Report also wrote that France stood to benefit from the rise of the Islamic State in Haiti, as this would nullify claims of reparations from the former French slave colony. Simply put, there's too many agents who stand to benefit from creating tension between the Dominican and Muslim communities as even the Jamaican government wants to get rid of one of it radical preachers who was deported from the United Kingdom, hoping he immigrates to Haiti. Although the evidence against Mr. Morel is rather convincing at first sight, a jury could likely believe that he was set-up, and he may eventually be acquitted, providing the necessary spark to set-off the powder keg created by the mainstream media's distortion and agitation. We could very well see chaos in New York City that will make the Rodney King riots look like a mere blip in history by comparison.